Add the centre piece of your bedroom furniture with this fantastic 3+2 chest of drawers from the Cotswold range. 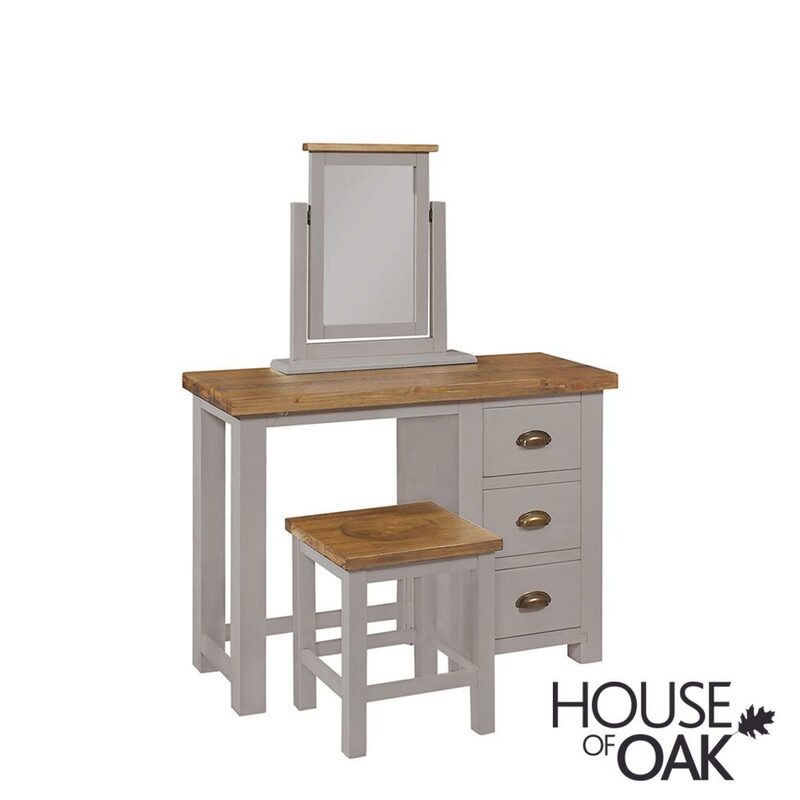 The drawers are spacious and forgiving and the whole unit is built with a quality that will stand the test of time.Crafted from solid pine and hand painted in a light grey finish adding a unique look and feel. Rustic pine tops in a rich coloured lacquer finish and brass satin cup handles complete this country cottage vibe.